La descrizione di questo hotel al momento non è disponibile in italiano. There’s a certain class of hotels that guests, especially the famous ones, seem to have a hard time leaving — places like Chateau Marmont in West Hollywood, or the old Chelsea Hotel in New York. 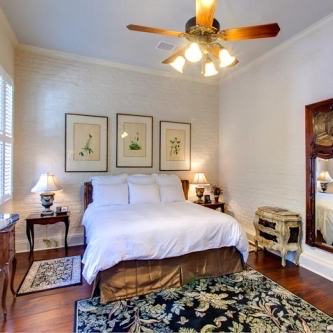 Add to the list New Orleans’ Audubon Cottages, a perfect picture of genteel Big Easy leisure if ever we’ve seen one. 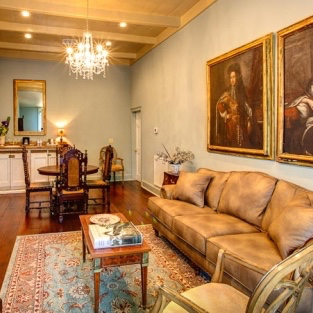 The seven private residences, centered around a quiet, leafy courtyard in the French Quarter, take their name from the naturalist John James Audubon, who showed up in 1821 and didn’t leave until he finished his famous Birds of America series the following year. Elizabeth Taylor has a favorite cottage, too, and so do the ghosts (one of them a country music–playing soldier) who are said to haunt cottages 2 and 4. 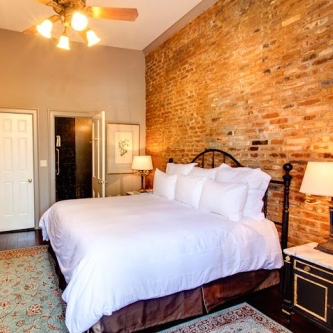 It’s no wonder: this place is a quiet haven that feels a world away from the non-stop party on Bourbon Street, yet located right in the French Quarter. The oasis effect is reinforced by the heated salt-water pool at the center of the hotel’s courtyard. 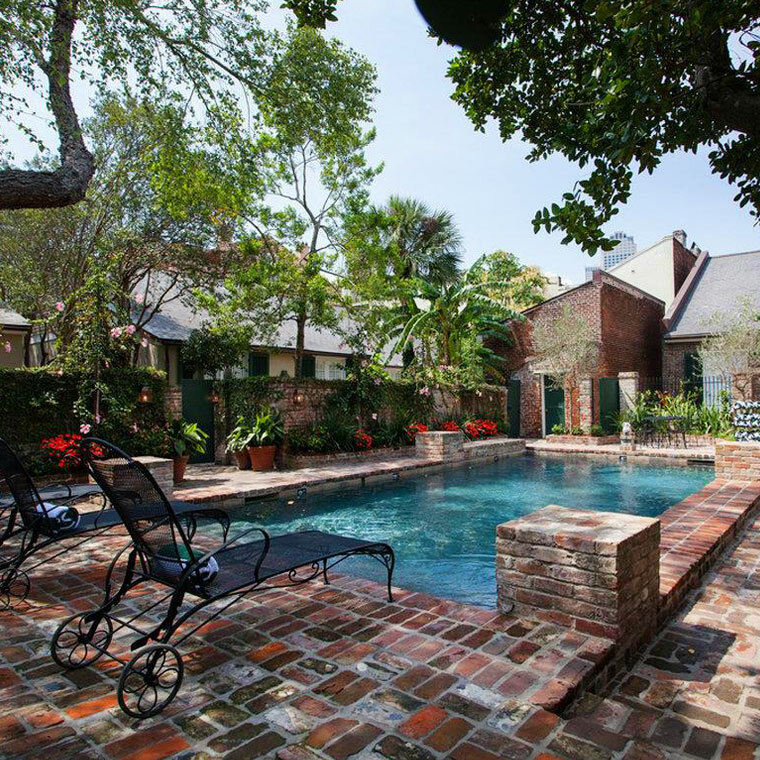 Surrounded by gnarled old trees and crawling vines, it’s said to be the oldest pool in the French Quarter. For even greater privacy, some of the cottages come with their own private courtyards — so you’ve got a private cottage behind a private courtyard, all behind a shared courtyard that’s tucked discretely off the street. 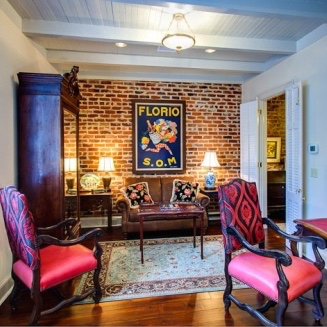 The 19th-century provenance of the hotel carries through to the style of the cottage interiors — dark hardwood floors, varnished antiques, original art and exposed brick. With cushy bedding, big screens and well-stocked fridges, though, they don’t feel dated. 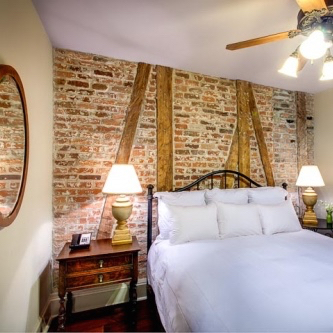 Historic as it is, this isn’t meant to be a museum to its own past, but a place where it’s still possible to experience the French Quarter as a quiet, modern-day respite from workaday life. When it’s time to explore the area, you’ll of course be well looked after. 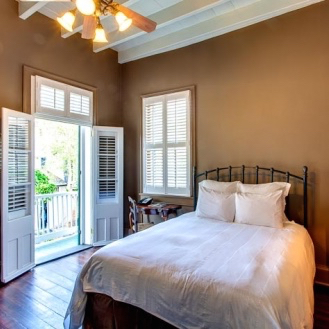 The cottages’ butlers not only bring breakfast to the room, tidies up and all the rest; he’s also an expert on the French Quarter, organizing private excursions to suit guests’ tastes. Valid credit card required. Please note the main guest must be at least 21 years of age to check-in. 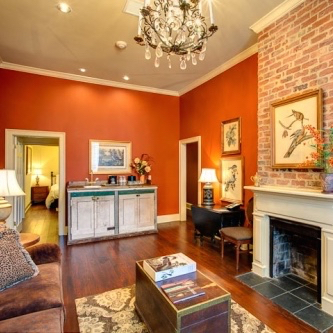 Guests of the Audubon Cottages may check-in at the Dauphine Orleans Hotel, located at 415 Dauphine Street, just a block from the Audubon Cottages. Luggage assistance is offered to guests of the Audubon Cottages at the Dauphine Orleans Hotel. 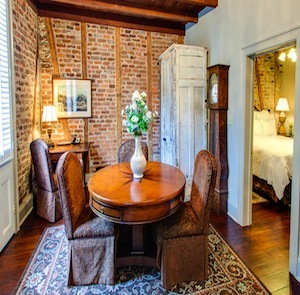 Parking: The Dauphine Orleans Hotel has secure on-site valet parking available for guests of the Audubon Cottages.